Three Wonders is a Rom Game which Contains 3 Games named - Midnight Wanders, Chariot and Don't pull for Android and Computer. For Android, it is now available in apk file. Hope all of you are enjoying my Games. Today I am Sharing the most viral game Three Wonders Game for Android apk and Computer. It contains three games and so that it is called three Wonders. In Japan, it is known as Wonders 3. It contains three games and player have to decide which one he should play. Midnight Wanderers: Quest for the Chariot - (known in Japan as Roosters: Chariot no Sagashite An Action platform game that sees the player control a hobbit named Lou and his traveling companion, Siva, to run, climb and shoot at enemies. 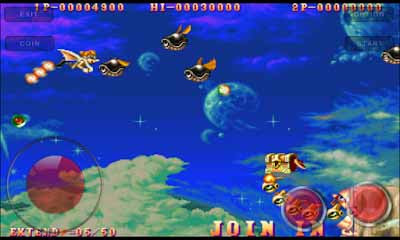 Chariot: Adventure through the Sky - (known in Japan as Chariot: Tenkuu he no Tabi A shoot 'em up game featuring the characters from Midnight Wanderers but in a Gradius-esque game. 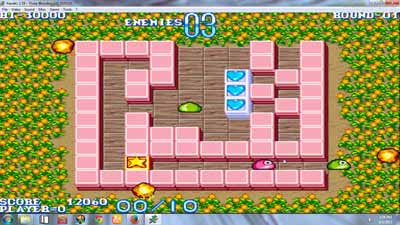 Don't Pull - A puzzle game similar to games like the Eggerland series, Pengo and Capcom's own puzzle game Pirate Ship Higemaru that involves pushing blocks to crush monsters. If you want to know more about Three Wonders you may visit Wikipedia, Search Google or Visit the Developers Website. Now Click on any of this game Three Wonders ( World 910520 ), Three Wonders ( Us 910520 ) and Wonder 3 ( Japan 910520 ) and then click OK.
Now Enjoy Three Wonders in your Android. This Game is now available apk format for Android and its size is only 13Mb. 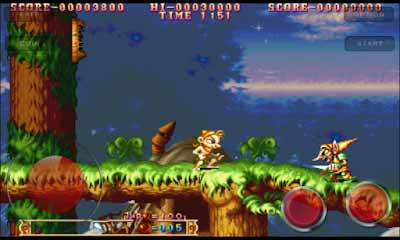 It is made with MAME Emulator. Just install it anyway and play it. Note: If in your Android smartphone Google says anything wrong about it. Just ignore and install anyway. I have tested this game on my Samsung Galaxy it perfectly worked on my Android. But if you want extra security just turned off your Data or Wifi.